All-white men’s watches can be a tough sell. Generally speaking, all-white ceramic watches are much more commonly associated with women’s watches. For men, this would be far from an every occassion timepiece, white-out watches can feel more like a “wear it two or three times a year, only with specific outfits and on specific occasions” item. Particularly a pricier, five-figure watch that you might not be terribly eager to wear to rock at the beach or at every pool party you’ll be invited to this summer. 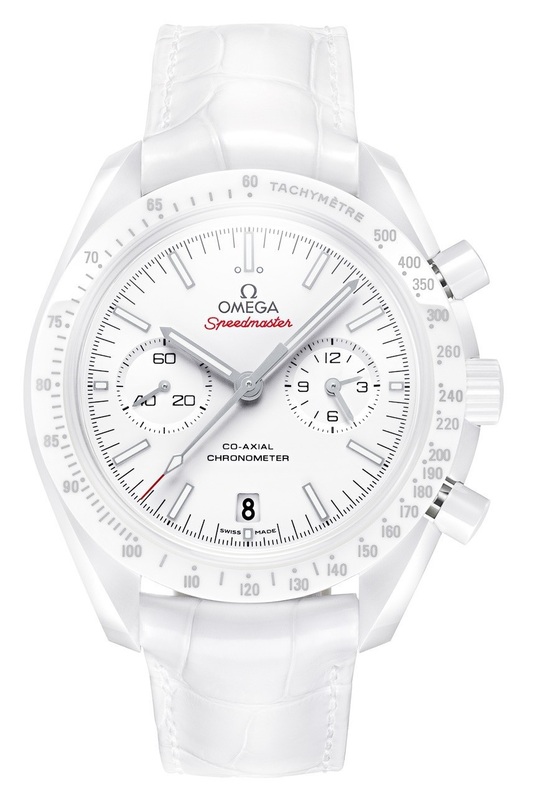 That said, if you’re looking to diversify your wristwatch portfolio and specifically want to add a white ceramic piece to your roster, the Omega Speedmaster “White Side of the Moon” plays. 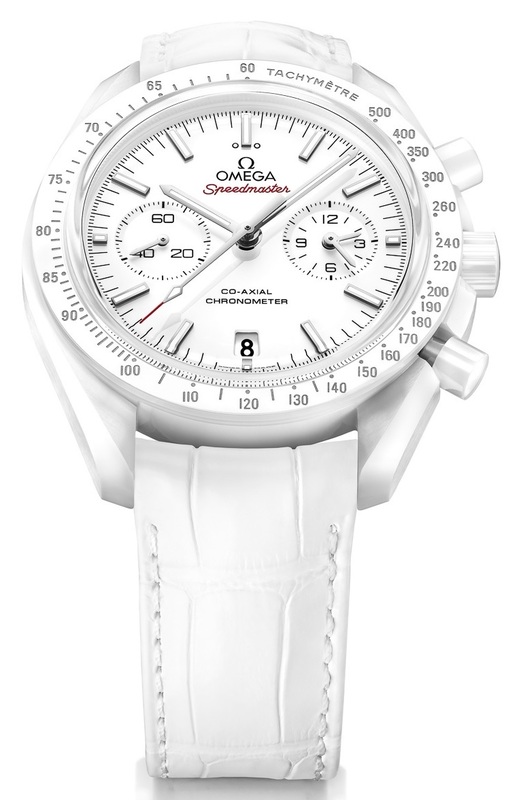 The third sports watch in Omega Speedmaster “____ Side of the Moon” collection, this piece (priced just shy of $11k) was preceded by a “Dark Side” in 2013 and a “Grey Side” last year. I’m inclined to think that this watch’s release means they’ve exhausted all available sides of the moon, but given that they already invented a “grey side” I wouldn’t put it past the creative minds at Omega to pull out a “Blue Side of the Moon” or something next year. But back to the watch at hand, the case size is 44.25mm; sizable enough to be masculine, but not so large as to make the piece gaudy. The white color is already going to make this watch conspicuous enough, no need to overexpose it. 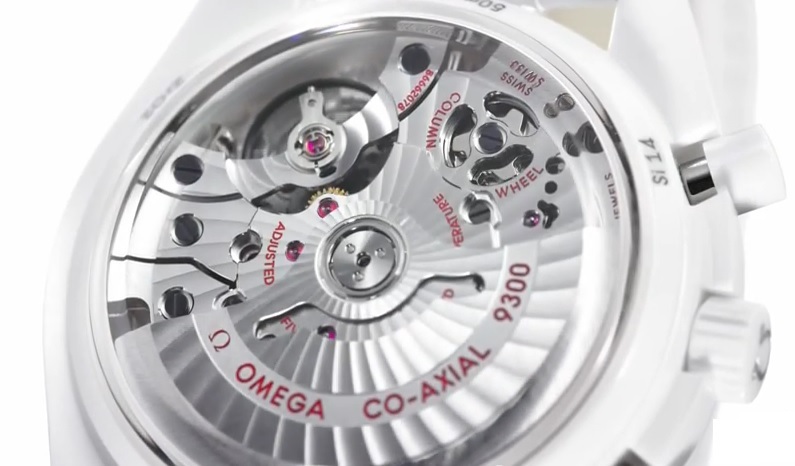 The hands are made of white gold, the case front and back are covered by sapphire crystal, which allows the watch’s machinations to be viewed and admired when it isn’t being worn, as seen on this video from Perpetuelle. 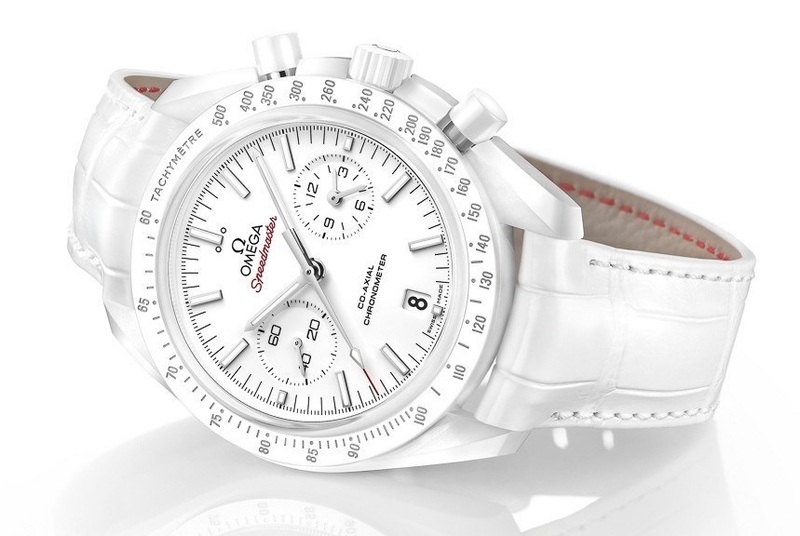 On first sight, I wanted to label the White Side of the Moon as a “yacht watch,” or a “speedboat watch,” and I fully intend that as a compliment. Of course, that’s strictly in terms of appearance, not in any sense of it being beneficial for actual maritime recreation. And again, that seems to confine its appropriateness to a few very specific occasions. But I’m hardly an authority on the subject, and the coming summer may afford you far more opportunities to unleash this distinct edition of the Speedmaster.